Potlucks are always a chance to bring your gold-star-worthy recipe for the masses to enjoy. But what happens when you are burnt out on the dish you typically make? Or when you want to do something different? How about when you are assigned a food category to bring? Well my friends, this happened to me recently when my daughter had her dance company end-of-year-banquet. We were assigned cookies. There was also a brownie group. Lots of desserts were at this gathering. But first, let's take a quick gander at how adorbs my daughter is. This was her first year in competition dance. 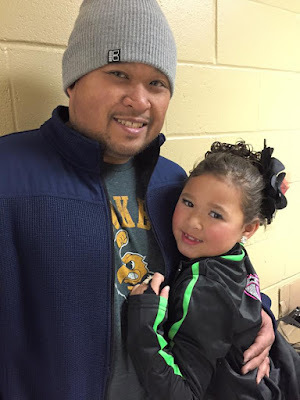 She competed in group hip hop and group jazz. Her hip hop routine was to the song "After Party" and the jazz to the totally awesome "Little Red Wagon". One of the other dance moms went as far as getting the girls super-cute red heart-shaped sunglasses to incorporate into the routine. 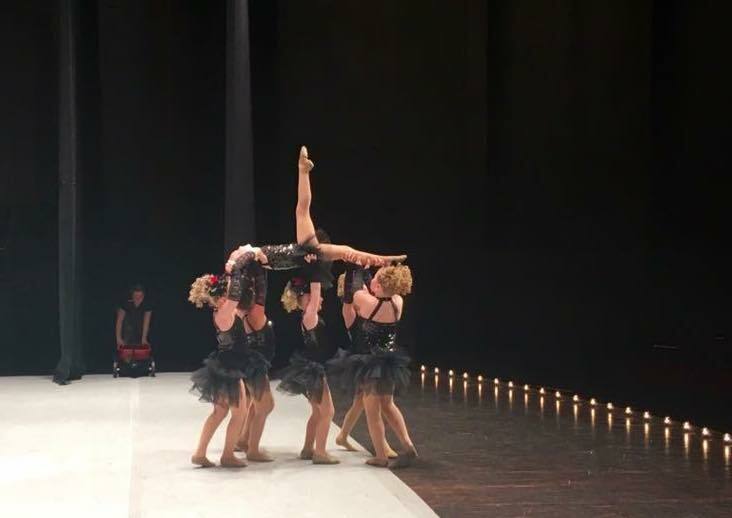 They competed in five competitions and their jazz routine even won a bid to nationals. I mean check out their stellar lift. Pretty amazing for a group of 7-9 year-old girls, huh? Okay, enough of staring at her cuteness...no wait, one more. This is my favorite side-by-side. 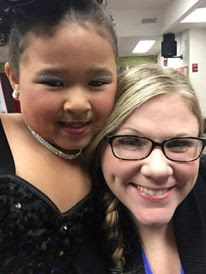 Her biggest personal goal for this year was to perfect her facials while on stage. She kind of had a case of RBF. "I'm focusing...counting!" is what she always said. 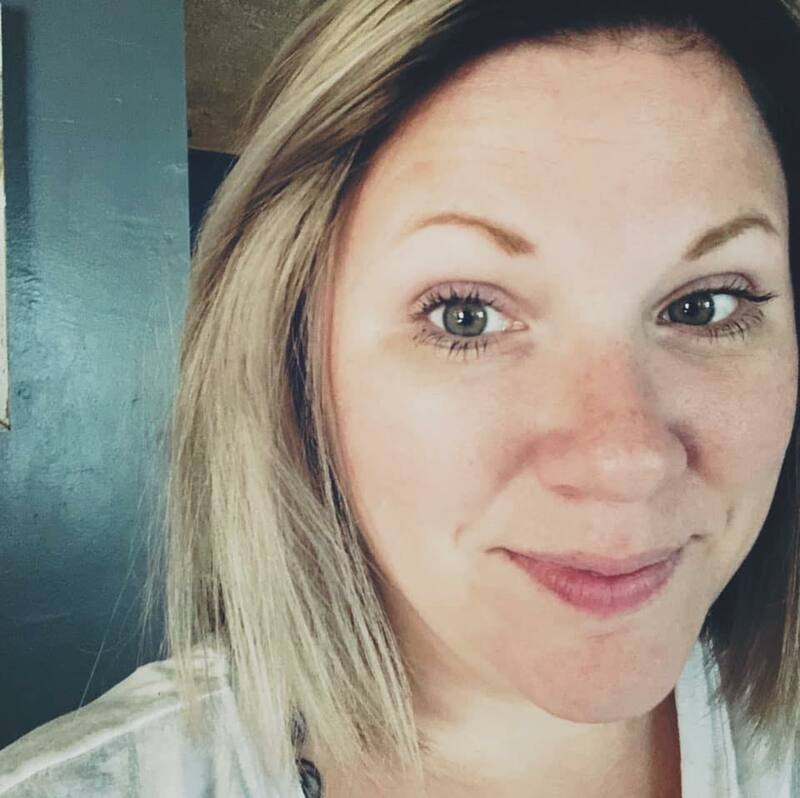 She at least took dance seriously. 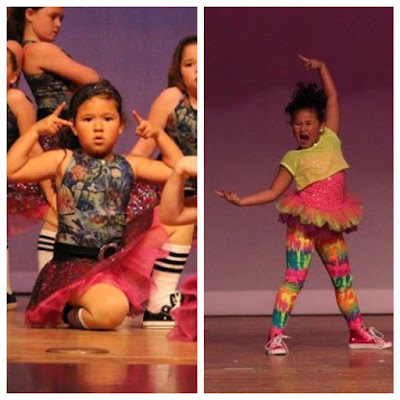 The photo on the left is her ending pose in her hip hop routine at the recital a year ago, the one right is after this year of competition and her ending pose at the recital this year. I seriously cannot get enough of it. 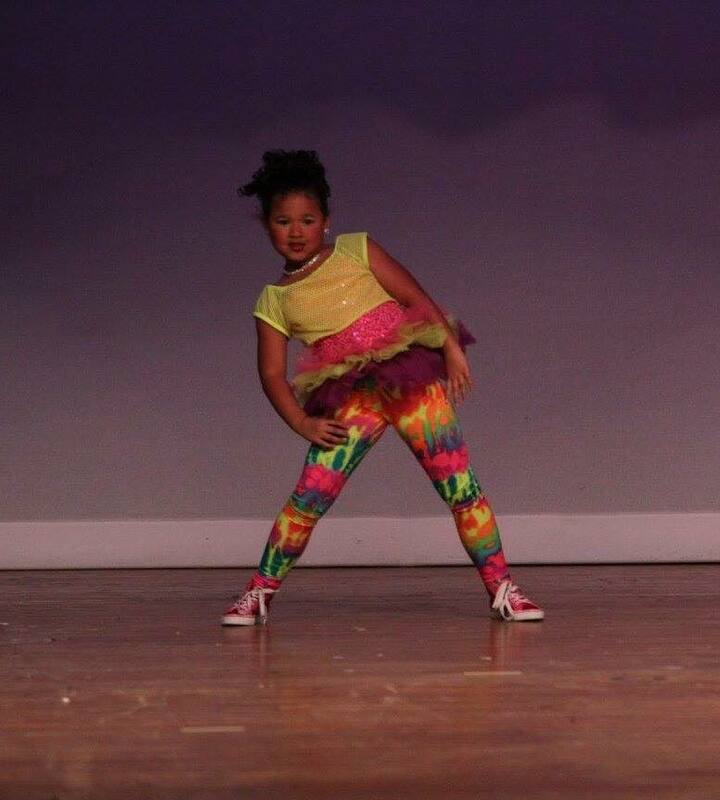 Okay, one more shot of her at recital. She's so sweet! So these little cookies are pretty much amazing and perfect for a potluck. People waste cookies when they are full-sized because they want to try everything! Basically these reasons are enough to justify the time it makes to bake a batch of these up. It bakes lot of cookies, I made mine about a TEAspoonful, rather than a typical TABLEspoonful or so. They come together quickly, despite how daunting it sounds to make them. If you don't have mini chocolate chips (I totally didn't and I didn't want to run to the store to get just those) you can chop up regular chocolate chips or chocolate bars - whichever you prefer. In a mixing bowl, whisk together the flour, baking soda, and baking powder; set aside. With a mixer, cream together butter and sugars. Add the eggs, one at a time, mixing well after adding each. Add the flour mixture to the creamed butter mixture a bit at a time until no white streaks are left in the dough. Roll the dough into teaspoon-sized balls and pace 1 1/2 inches apart on a non-stick baking sheet. Bake for 5-7 minutes, or until the cookie is puffed in the center and bit brown on the edge. Remove from the oven and let cool for a minute or two on the baking sheet before removing the cookies to wire racks to finish cooling completely.